Looking back and looking forward. Sometimes they seem the same. I’m reflecting on educational decisions and how they often decide the course of a person’s life. My daughter, my youngest child, is trying to decide where to go to college and what to major in. It’s odd, but all I can think about is my mom and how she was the only one of her siblings that was not sent down to Eastern Mennonite School for her high school education. The year was 1936 and there was no Christopher Dock High School and so some parents sent their young children to EMS if they wanted them to receive a Mennonite education. “But,” my mom recalls, “the barn burnt down that year and my parents didn’t seem too anxious to send me. And I wanted to go to Lansdale High School with my friends.” So when she graduated in 10th grade from the local school, she went on to Lansdale High School, later to become North Penn High School. How many pathways of her life were affected by that one missed opportunity? My daughter, Vanessa, has expressed an interest in architecture. She attended a high school introduction to architecture course this past fall at Temple University to see if indeed that was an interest of hers. She enjoyed the class and her love of math and art seemed to coalesce in this one field. The teacher recommended architecture schools for the students to think of attending. One of them was Iowa State University. Vanessa loved even the mention of Iowa, the home of her father and grandma, uncle and cousins. It wasn’t that long ago that I took a job teaching at Iowa Mennonite School and traversed the many miles with a college friend to our new home in Kalona, Iowa. There I met my husband Ken and married him on the lawn of my in-laws, far away from the PA woods and creeks of my hometown. My girlfriend also married a Midwestern boy and never returned, making her home in Chicago. Ken and I returned to the Indian Valley and raised a family, but the pull of Iowa can be seen in our children. Three generations of decisions. Yet we all have changed each other’s lives. 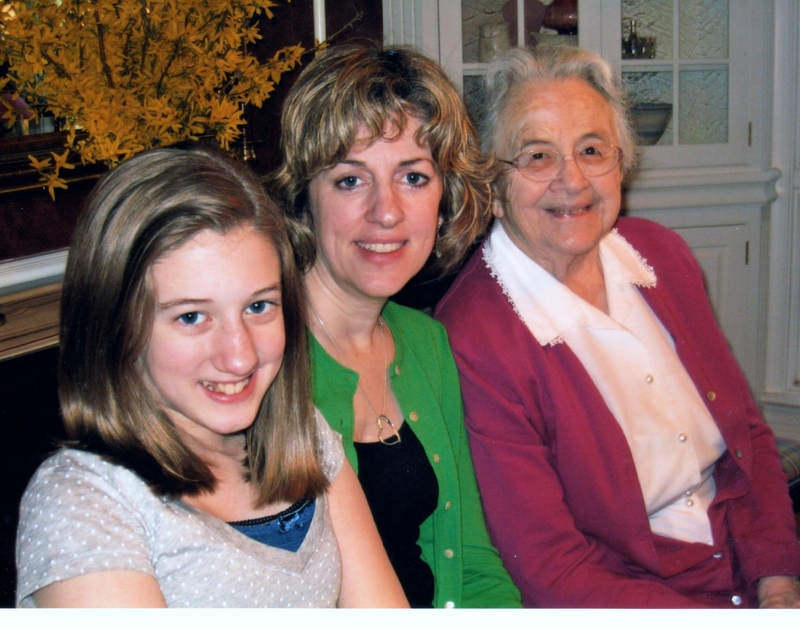 I want for my daughter the same thing I want for my mom…the chance to live in Harrisonburg, Va and go to school and learn in that Mennonite mecca, but just like with my mom, my daughter is pulled elsewhere.